Add Coriander seeds, cumin seeds, onion seeds, fennel seeds. Let them splutter. Add boiled potatoes, salt, dry mango powder, turmeric, Kasuri methi and red chilli. Mash and mix them well. For 1 cup sooji, you will need 2 cups of water. When it starts boiling, Add salt and carom seeds. Add sooji. Keep on stirring until it reaches dough like consistency. Keep it aside in a separate container. Let it cool down a bit. When it is warm, Knead it. Add some oil while kneading it. The dough should be very soft. Just like normal dough for chapatis. Take a small section of dough. 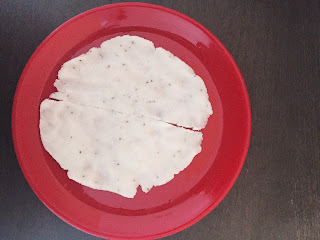 Add little oil on your palm and make it flat, just like chapati. Don't worry it starts breaking. It is very easy to fix. However, if you find it difficult then take a polyethene sheet. Apply oil on it. Place that small section of the dough. Cover it. Start making it flat. This process is similar to Sabudana thalipeeth. Keep it on a well-greased plate. Put some stuffing in both the sections. Fold it as demonstrated in the pics below. 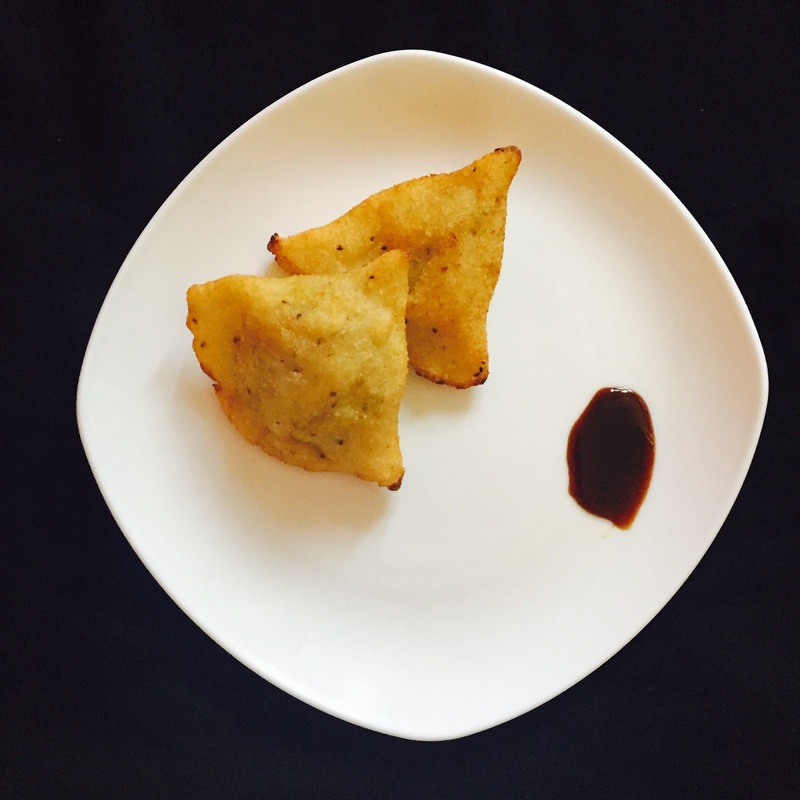 Deep fry these samosas on high flame until they are golden brown. You can air fry/bake samosas as well. Serve it with your favourite chutney.